Size:120mm x 50mm x 50mm. 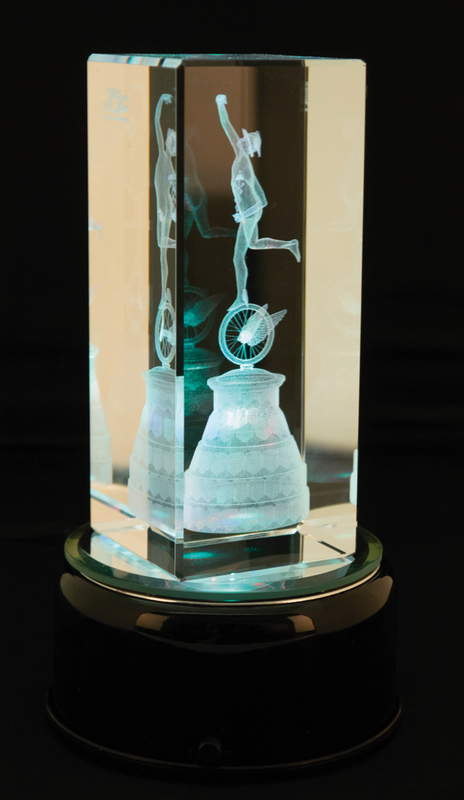 The amazingly detailed 3D repica of the Senior TT Trophy has been laser etched inside a Crystal Block. 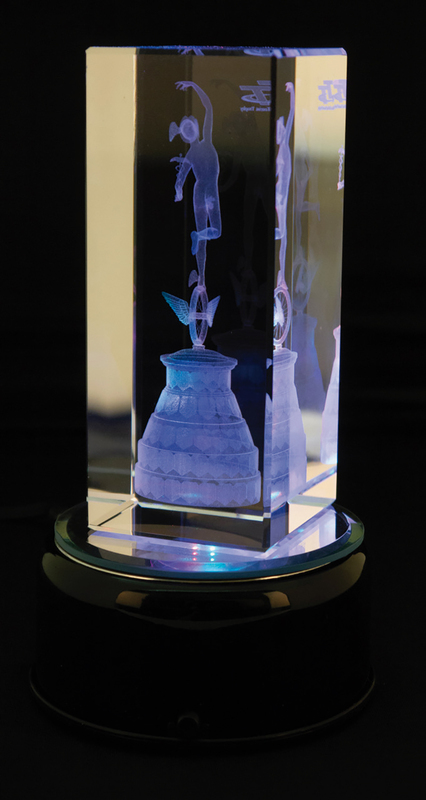 Each piece comes in a velvet effect lined presentation box. 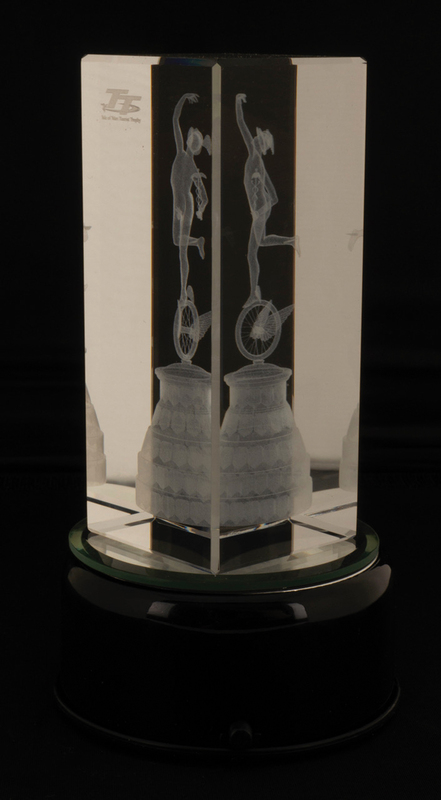 Why not purchase the small light base (Product Code 9697LB) to enhance the enjoyment of this handsome Gift.